Air India made its presence felt at Wings India 2018, the sixth edition of the popular civil aviation Exhibition & Conference in India held at the Begumpet Airport in Hyderabad from March 8, 2018. The event, held under the aegis of the Ministry of Civil Aviation, has been providing an unmatched platform for the aviation players all over the world to debate on diverse topics relating to policy and regulatory regime, emerging challenges and opportunities, international best practices etc and lay down the roadmap for seamless and sustainable growth of Civil Aviation in India. It also provides immense networking opportunities with the presence of key policy makers, senior Government officials, global experts and corporate leaders, potential customers/ business partners to tap the emerging investment opportunities in Indian Civil Aviation Market. 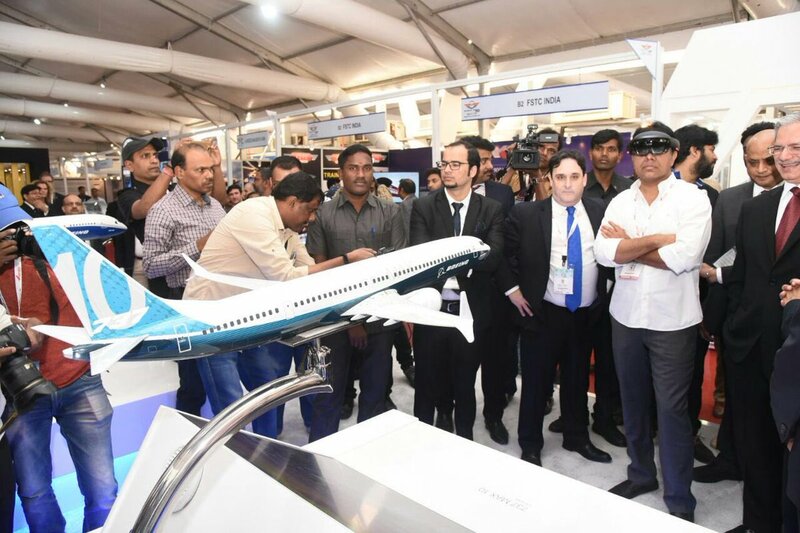 Wings India 2018 was launched by the Minister of Telengana K.T Rama Rao, Secretary Civil Aviation R.N. Choubey, DGCA B.S. Bhullar, Jt. Secretary Ministry of Civil Aviation Usha Padhee and other dignitaries by lighting the ceremonial lamp. The theme of this year’s event is Regional Connectivity – UDAN. Incidentally, Alliance Air, Air India’s wholly owned subsidiary, had operated the first flight under UDAN which was flagged off by our Prime Minister Mr Narendra Modi. The Air India pavilion stole the show with attractive display highlighting the airline’s initiatives and achiefements. Dignitaries, including Ramarao and Choubey, also appreciated the Air India pavilion. Air India’s history has been synonymous with that of Civil Aviation in India and its presence was the centre of attraction at this landmark event as it has been in the same air show in the past.